I remember the first time I saw a Rhino in the wild like it was yesterday (though it was actually more than 15 years ago). I was on my first morning safari drive in South Africa’s Londolozi Private Game Reserve. The ground was charred black from a controlled burn, and the newly-grown grass was almost impossibly green. An adult female seemed to savor every bite, looking for all the world like an armored, overgrown cow. Minutes later, we oohed and ahhed as her tiny baby came into view from behind a bush. I have goosebumps now, just thinking about it. My experience at Londolozi changed my life, influencing everything I do today. 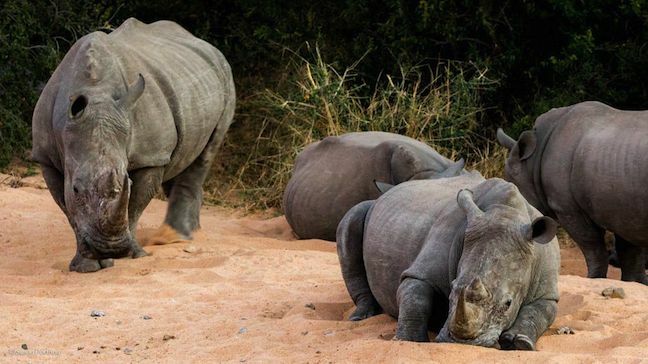 Once you’ve seen them in the wild and read reports on how they’re being slaughtered on a daily basis, you can’t help wanting to save rhinos, elephants and other endangered wildlife. 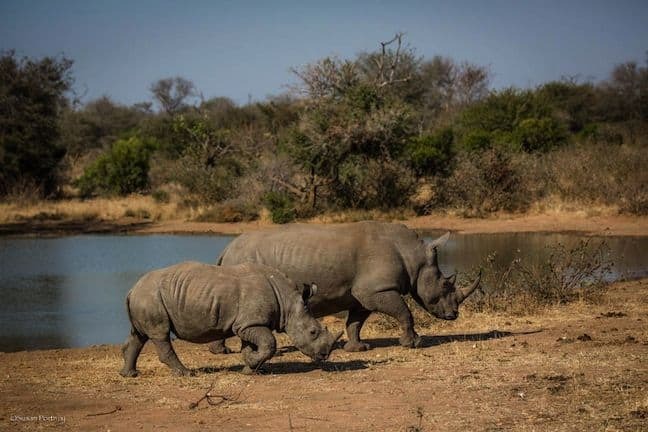 The Rhinos Without Borders project is spearheaded by National Geographic Explorers In Residence, acclaimed wildlife photographers/filmmakers, and wildlife conservation advocates Dereck and Beverly Joubert. 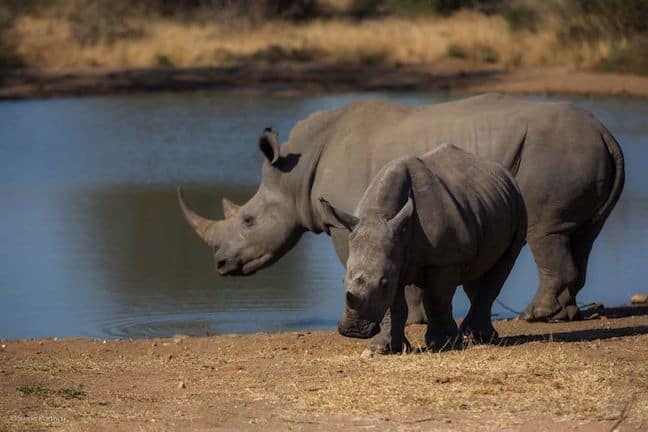 The Jouberts are working to save Rhinos, translocating 100 of them from South Africa to Botswana in 2015 to protect them from the tragic rise in poaching. It’s an extremely expensive project, with costs estimated to range around the $5 million mark. 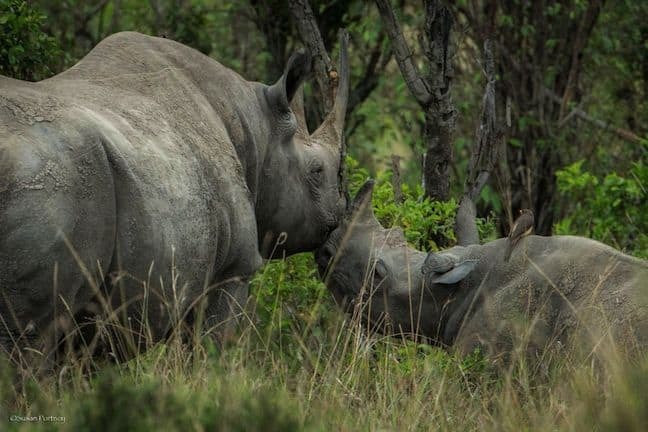 According to the South Africa Department of Environmental Affairs, rhino poaching stats have risen by more than 300% in the last four years, from 333 in 2010 to more than 1020 animals in 2014. 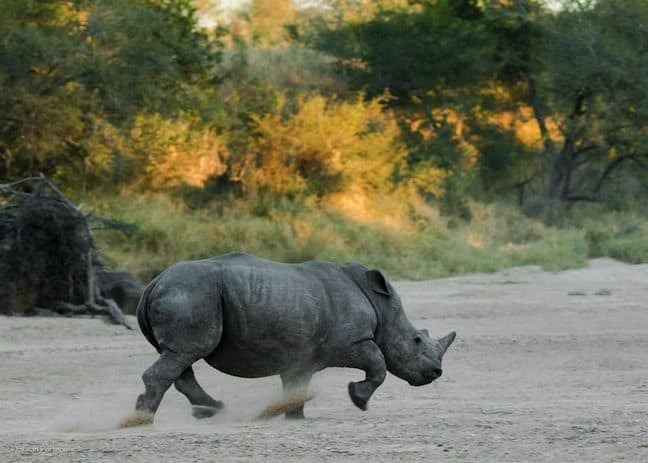 Botswana has some of the lowest poaching rates in Africa, and the country is forming a “Tusk Force” team hand-picked from the Botswana Defense Force and Wildlife Department to be anti-poaching specialists. Part of your donation will provide training and equipment for that team. The Jouberts are renowned for their work on National Geographic’s Big Cats Initiative, which was designed to raise awareness and implement change to the dire situation facing big cats such as lions, tigers, cheetahs and leopards. That project has already funded 60 projects in 23 countries around the world. 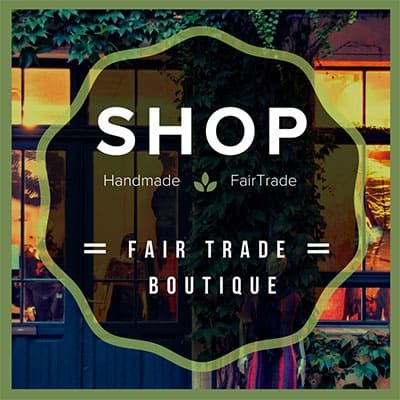 Now, through their Great Plains Foundation, they’re trying to save rhinos, whose horns are currently being sold at around $65,000 per kilogram. 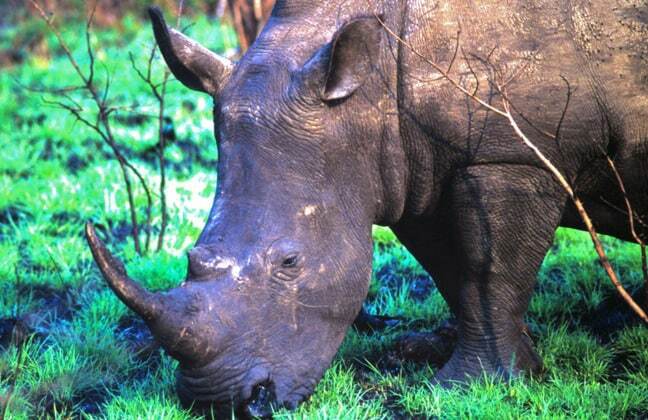 Rhinos in South Africa are being killed at an alarming rate of one every 7 hours. If poaching continues at its current rate, Rhinos will almost certainly be extinct in the wild within 20 years. The Rhinos Without Borders plan is one of the best we’ve ever seen in terms of giving Rhinos a fighting chance to still be around for our children, and our children’s children. These 100 animals will provide Botswana with a diverse genetic pool for breeding, with anti-poaching forces given shoot-to-kill orders for poachers. In the last year, more and more stories are linking illegal wildlife poaching and trade to radicals such as the Lord’s Resistance Army (Central Africa), Boko Haram (Nigeria), and the Al Qaeda-ffiliated al-Shabab (Somalia). 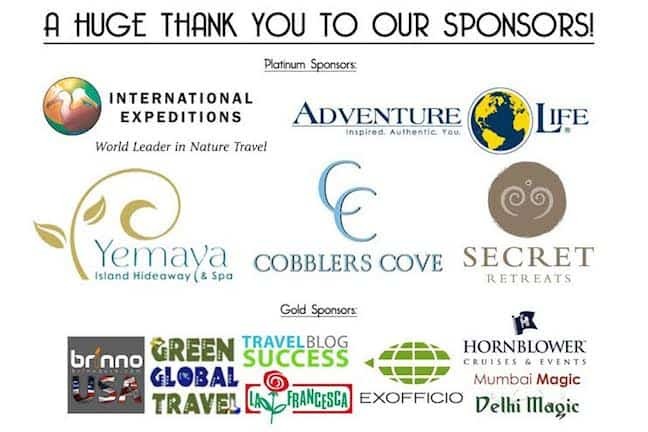 These organizations use the profits from poaching to fund their terrorist activities. Stop the poaching, and terrorists will have to find a new revenue stream. At the same time, you’re building up Botswana’s ecotourism infrastructure, which provides more sustainable income for locals. We all know the stereotypes of bloggers being (to quote two anonymous PR reps) “in it for themselves vs. their followers” and “spoiled princesses/princes who are entitled.” With over 125 bloggers pledged to support #JustOneRhino with blog posts and social media shares, this fundraiser offers a chance to show the world the great things bloggers can accomplish when they work together for a greater good. Valued at $6000 (including internal flights in Africa), this tour focuses on observing the “Big Five,” including the rhinoceros. You’ll visit the metropolis of Johannesburg before setting out on safari in game-rich Kruger National Park. This 9-day tour highlights Johannesburg, Durban, one of Africa’s oldest reserves in KwaZulu-Natal, the beaches of the Dolphin Coast, and culminates with a stay at Rhino Post Safari Lodge in Kruger National Park. Full Trip Details found here. 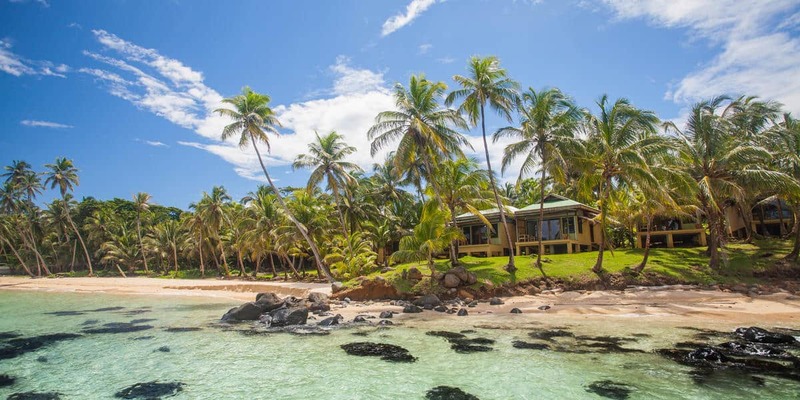 Valued at $5,241, this package includes 10 nights for two people in one of Yemaya’s 16 cabanas, which feature a stunning ocean view, private terrace, rainforest showers stocked with local, organic bath products, and as much relaxation as anyone could ask for. Guests are welcome to attend daily morning yoga and meditation sessions. Also included is a $700.00 food and beverage credit and a $500.00 credit to be used in their award-winning, on-site spa. More info here. 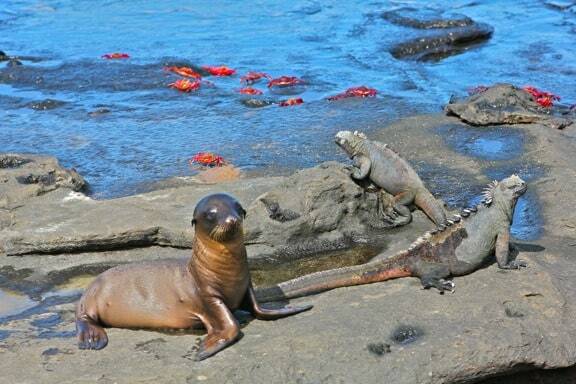 Valued at $5,298, this trip includes a cabin for 7 nights aboard the M/V Evolution; hotel accommodations pre- and post-voyage; daily shore excursions, interpretive walks, swimming, snorkeling, hiking & Zodiac rides; 23 meals & snacks; snorkeling gear & shorty wetsuits; kayaks; water; onboard doctor; full educational program (including lectures on history, ecology & marine life); arrival & departure transfers; and tips to porters & waiters for included meals! Full Trip Details found here. 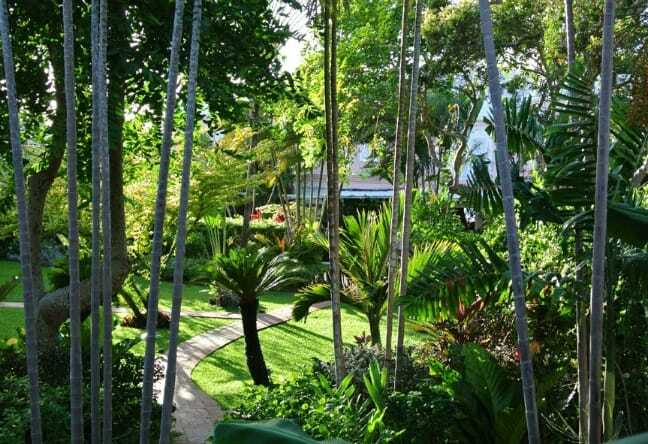 Valued at $5,187, this package includes 7 nights bed and breakfast in a Garden View Suite at Cobblers Cove, located on the platinum west coast of Barbados. The beachside hotel has 40 suites, each of which is individually decorated with a mixture of English elegance and Caribbean character and open to the ocean and tropical garden surroundings. Serving the finest food on the island, The Camelot Restaurant is a destination in itself. More info here. 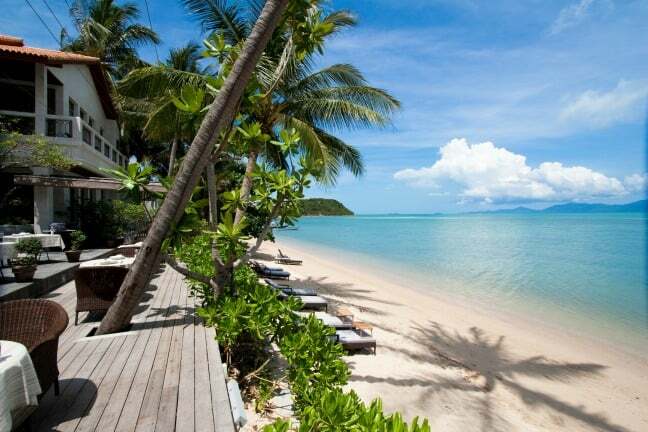 With a total value of $5,800, Secret Retreats has generously donated vouchers for 2 people at Bali Jiwa Villa in Bali, Indonesia; two sets of vouchers for 2 people at The Scent Hotel in Koh Samui, Thailand; vouchers for 2 people at the 4 Rivers Floating Lodge in Koh Kong, Cambodia; and vouchers for 2 people at Flower Island in Palawan, Philippines. Please help us raise even more money for Rhinos Without Borders by sharing word about the fundraiser with your friends on social media using the #JustOneRhino hashtag! 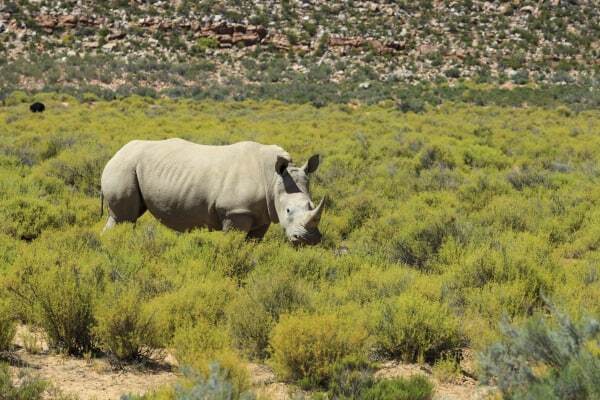 Killing For Conservation: Can Hunting Save the Black Rhino?